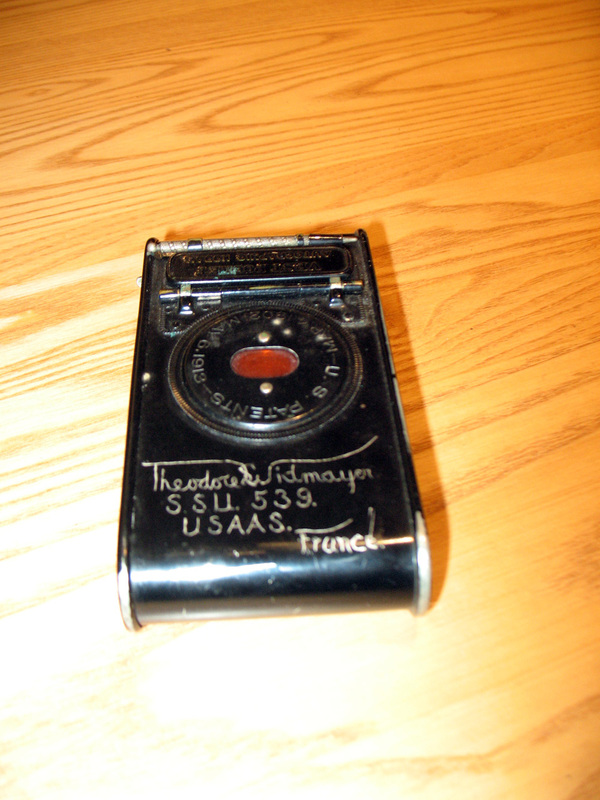 A few months ago we were offered this Eastman Kodak Vest Pocket “Autographic” camera, dating from about 1917. Our kind donor, Mr. James Reynolds of Illinois, said he purchased it, along with several others, about twenty years ago at a garage sale in Florida. Mr. Reynolds knew we might be interested in the camera because it bore the inscription of Theodore Widmayer, Amherst College class of 1917. Widmayer — where had I heard that name before? Normally we don’t add an item like this to our collection simply because it belonged to an alumnus. But Widmayer and his camera had seen and done interesting things. This was a camera with artifactual value. It had stories to tell. Lord Jeffery Inn. 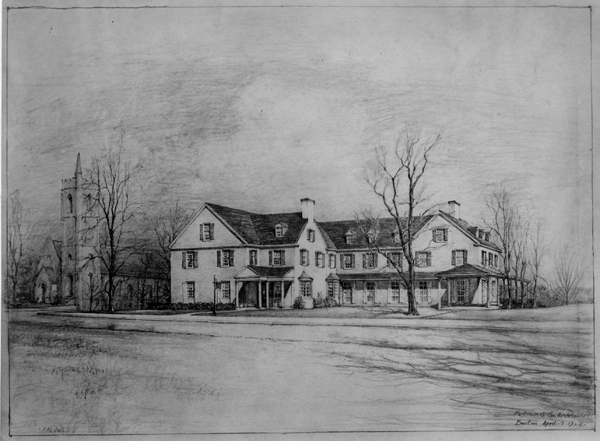 Sketch by Putnam & Cox, 1924. At last Amherst is to have an inn. The project, carefully matured by alumni committees for more than a dozen years past, has now reached the stage of realization. The necessary financial backing has been secured, contract have been let, ground broken, and the finished structure is to be ready for use next Commencement. With the re-opening of the refurbished Lord Jeffery Inn, Amherst once again has an inn. The need for a conveniently located inn to serve the needs of the college was felt very early in the twentieth century, but it was only when Ernest M. Whitcomb (AC 1904) took the lead and formed a committee of like-minded alumni that the first incarnation of the Inn came into being. 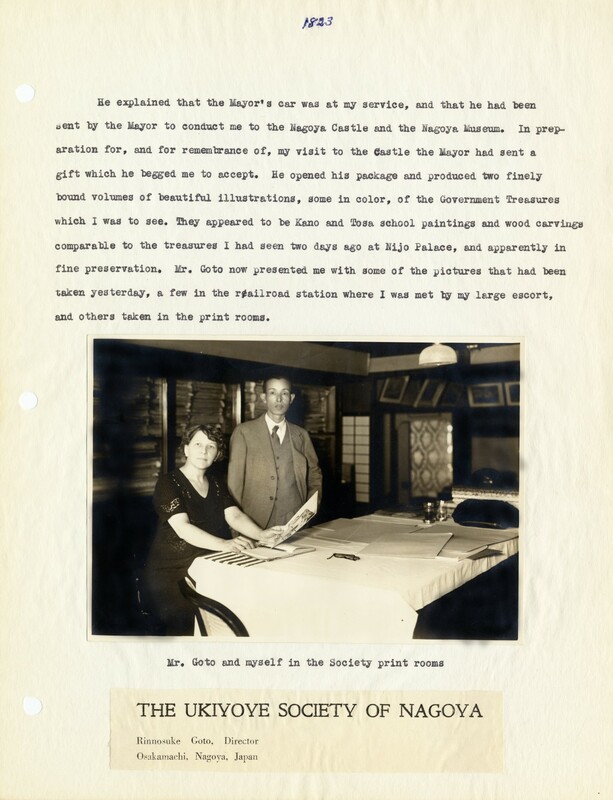 The earliest correspondence about the Inn in our Buildings & Grounds collection is a series of letters between Whitcomb and George A. Plimpton dating from 1911. Letters in the collection refer to sketches and plans for the Inn as early as 1913. 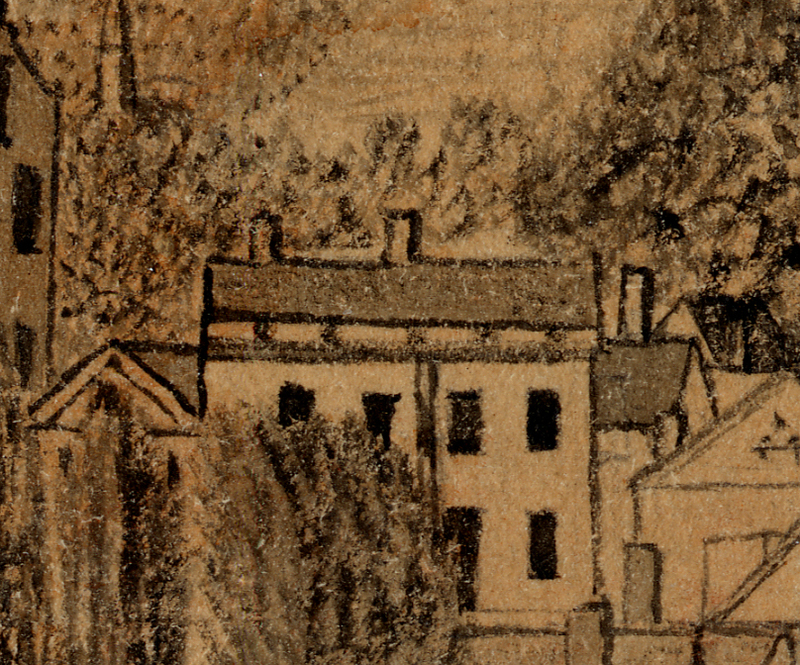 Prior to the founding of this committee, two plots of land had been secured through the generosity of alumni — the Boltwood Avenue plot where the Inn stands today, and another parcel of land known as the Mount Doma property. Some months ago a researcher asked about the location of Noah Webster’s property in Amherst. As many people will know, in September of 1812 the financially-strapped Webster reluctantly left the more cosmopolitan New Haven for a then very rural Amherst to work on his dictionary. While in Amherst, and almost as an occupational hazard of being in the right place at the right time, he helped to found Amherst Academy and then Amherst College. He left the town in 1822, before the first Amherst College class graduated, but he surely left his mark on the town and the College.